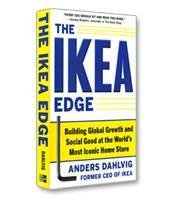 In he IKEA Edge, Dahlvig tells the story of how IKEA matured from an entrepreneurial startup to a leader in the furniture industry. 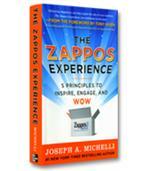 He recounts his 26-year career at the company and what he learned along the way. In his rise from store manager to president, Dahlvig developed the unique vision he relied upon to lead IKEA through good times and bad. Ranked 37th in global retail sales, the IKEA brand clearly outpaces the size of its activity. Most people are familiar with the famous blue and yellow stores, emphasizing the Swedish origins of the company, and have personally experienced the company’s iconic business model based on self-service and flat shipping. However, readers of The IKEA Edge by former CEO Anders Dahlvig may be surprised to learn that the business model dates to the 1950s and 1960s, long before most of the world ever heard of IKEA. It is a testament to founder Ingvar Kamprad’s patience and consistency that he expanded beyond the borders of Sweden only when he thought the company was ready. In fact, Kamprad waited nearly two decades before even expanding beyond the small town in which he had opened his small furniture store in 1949. Only in 1965 would he open a large Stockholm store that featured the now-renowned IKEA self-serve business model.